The treaty did not quell all trouble for the Dutch however, since the Bugis from Gowa continued their struggle using guerilla tactics. Some Buginese moved to other islands close by such as Kalimantan. A few thousand people led by Lamohang Daeng Mangkona or Pua Ado I, moved to East Kalimantan, known then as Kutai, where they were welcomed by the local Sultan. 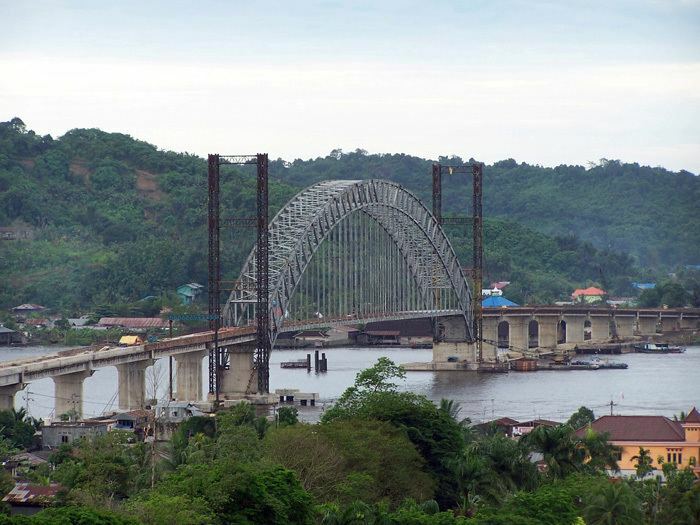 Samarinda was a small, sleepy town in 1942 with several small oil fields in the vicinity. It was occupied by the Japanese after the Dutch East Indies had fallen. In 1955, the Apostolic Vicariate of Samarinda was established in the city. In 1961, it was promoted as the Diocese of Samarinda. In 2003, the diocese was promoted as the. Metropolitan Archdiocese of Samarinda. The name Samarinda originates from the description of the way in which the Bugis houses were constructed. At that time houses were customarily built on a raft and generally had the same height. This provided important social symbolism of equality between residents; no person's house, and thus no person, was seen as higher or lower than another. They named the settlement 'Samarenda', meaning 'equal in height'. After hundreds of years of use the pronunciation of the name changed slightly and the city became known as Samarinda. Samarinda Airport is one of the Kaltim's busiest airports in terms of passenger and cargo movement, serving more than 126 thousand passengers and handling 241 tonnes of cargo in 2013. 3 airlines operate at the airport and it is the primary hub of Kaltim Airlines. The territory's population in 2014 is 800,000, with an average annual growth rate of 6.7% over the previous 5 years. Majority of the people of Samarinda are of Native Indonesian and Chinese descent. There are also Americans, Canadians, Japanese and Koreans working in Samarinda. Life expectancy in Samarinda is 73.6 years as of 2014. 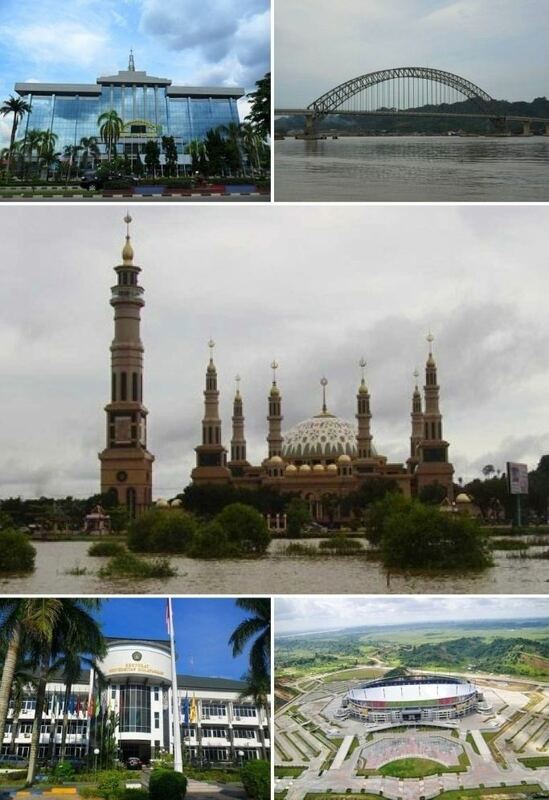 Samarinda's main religions are Islam, Buddhism and Confucianism. A Christian community of around 89,000 forms about 10.2% of the total population; Protestants forms a larger number than Roman Catholics at a rate of 10:3. There are also Hindu communities.